Slate floors can be showstoppers — in a good way or a bad way. Beautiful, well-maintained slate creates a positive impression with the perfect blend of elegance and informality, but slate that is dull, chipped, scratched, or otherwise damaged creates quite the opposite impression. Because slate is a unique stone, the restoration methods for it are very different than that of marble or granite. If you have slate floors that need some professional attention, they should not be entrusted to just any stone restoration contractor. The highly trained technicians at Certified Stone Professionals have the knowledge and hands-on experience necessary to resolve virtually any problems associated with your slate floors, walls, or other slate surfaces, and can apply color enhancing or topical sealers to achieve the finish you desire. We have a passion for restoring slate to its best possible condition. 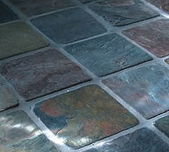 From stripping and sealing to deep cleaning and other refinishing services, our expert technicians know how to make dull, dirty-looking slate elegant and impressive once again. We also refinish slate in outdoor kitchens, pool and patio areas, and other outdoor living spaces, including hot tub surrounds, exterior walls, stairs, waterline tile, and much more. If your slate surfaces have become cracked, chipped, scratched, or otherwise damaged, Certified Stone Professionals can resolve these issues, most often without need of replacement. We can also take care of any grout problems you may have with our deep-cleaning, sealing and repair services. 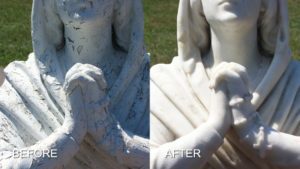 In the wrong hands, your beautiful cleft slate surfaces can be easily damaged during deep cleaning or restoration. 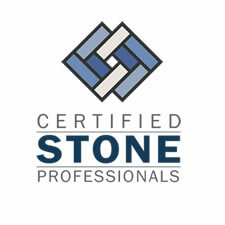 Certified Stone Professionals has the knowledge of and expertise in the proper equipment, techniques and powders needed to ensure the lasting beauty of your installation. We are always available to answer any questions and to discuss the specific requirements of your unique slate surfaces. Most — though not all — varieties of slate are virtually waterproof. This may mean sealing your slate is unnecessary, but it doesn’t necessarily mean sealing is undesirable. There are color enhancing sealers and coatings which can make the natural colors of your slate surfaces emerge more vibrantly. And, of course, for those types of slate which are not as waterproof as they could be, applying a sealer can further support their resistance to staining agents and weather conditions. Certified Stone Professionals not only provides these services, we are also happy to discuss your specific needs and educate you on the best way to care for your unique slate type and installation. 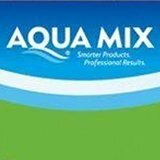 We are proud to recommend and supply stone-safe solutions for your regular cleaning and maintenance needs as well. For a FREE estimate on professional slate stripping, cleaning, sealing, enhancing, and other restoration services throughout Western New York, including Rochester and Buffalo, contact us online or call (716) 759-4200 today.